Breit’s has an experienced team of kitchen remodelers, carpenters, electricians, and plumbers ready to work for you! We have been working in the North Olmsted, Ohio area for over 40 years. 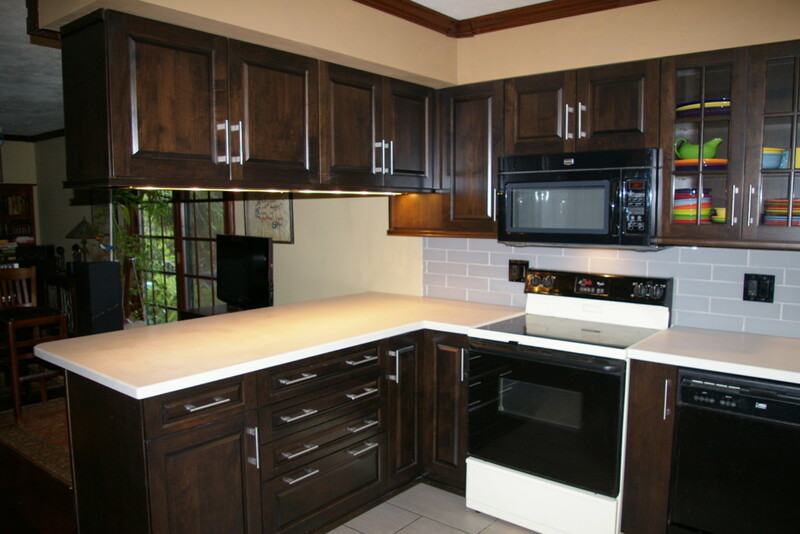 This new kitchen remodel features new cabinets with underlighting, new counter-tops, and new tile. 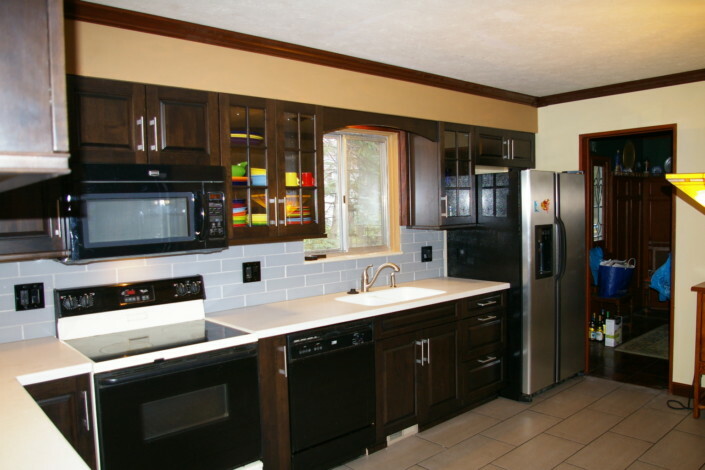 Our new kitchen design for this particular space allows for more cabinets and more storage space. Contact Us or call 216.651.5800 for more information.